I remember when I took my RRCA running coach training and we got to our section about injuries, our trainer asked us to raise our hand if we had ever gotten a running injury. Everyone in the room raised his or her hand. So, if runners relatively injury-prone, it makes sense that we should be preventing running injuries in any way we can. Every coach will have a list of his or her best practices for preventing running injuries. Here, I’m trying to synthesize those practices into one article. Coaches, feel free to weigh in in the comments section with your tips for preventing running injuries! Disclaimer: These are generally accepted best practices for preventing running injuries. If you’re injured, please go see a medical professional. They’ll be able to help you recover and get back to running as soon as possible. Strength train to improve muscle imbalances. So many runners get injured because of muscle imbalances. I had to DNF at the 2012 Chicago Marathon because my weak glutes caused an injury in my hip flexor after weeks of running 60 miles or more. I was devastated that all that training went to waste. Strengthening those stabilizing muscles will help reduce your risk of getting those injuries that originate from muscle imbalances, which includes a lot of injuries! Elite runner Tina Muir has put together a fantastic series on strength training which I would highly recommend. Check out her posts on strength exercises for legs, arms, and core. Increase your mileage slowly, especially if you haven’t ever run that kind of mileage, or haven’t run that kind of mileage in a long time. If you’re used to running 20 miles a week and you suddenly start running 40 miles a week, you’re drastically increasing your risk of getting injured. Many (perhaps even most) coaches are firm believers in the 10% Rule, saying you shouldn’t increase your mileage this week by more than 10% of the mileage you did last week, meaning you wouldn’t run more than 11 miles this week if you ran 10 miles last week. Are you doing everything you can to prevent running injuries? Include cutback weeks. I know that personally, cutting back my mileage every third or fourth week has really helped me prevent any little twinges from becoming full-blown running injuries. Cutback weeks, where you cut back your weekly mileage by 40 up to 70%, give your body time to recover from the hard training you’re doing, which can be the difference between getting injured or staying healthy. You definitely won’t lose any fitness during the cutback week, and you may actually improve your running because your body has more time to recover. Cross train. This tip for preventing running injuries might be a little contentious with some running coaches. To become a better runner, you have to run more. However, if you tend to be more injury prone, your body may not tolerate high mileage weeks. Running-specific cross training, where your body roughly mimics the movement of running, such as cycling or using an elliptical, may help you increase aerobic fitness without the impact of running. 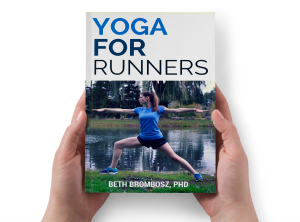 There are other activities some would consider cross training, such as yoga or barre classes, that can help runners improve strength, helping them reduce the risk of getting injured. Check out my post on cross training for runners for a more detailed discussion. Foam roll. Oh, runners, love to hate foam rolling, but it can be really great for preventing running injuries. Foam rolling helps remove muscle adhesions that can be painful and that can restrict full range of motion. If you have a restricted range of motion on one leg compared to the other due to muscle tightness and adhesions, you risk getting injured by putting stresses on the right and left legs differently. Combining foam rolling with a little bit of gentle stretching to improve range of motion can be very helpful. If a muscle is particularly tight and/or knotted, consider going to see a massage therapist. You may leave feeling like a new man or woman. Running coaches: What are your tips for preventing running injuries? If you leave a comment, please let my readers know that you’re a running coach! Runners: What steps do you take to prevent running injuries? Great tips, Beth! I follow all of them except foam rolling (at least not every time)…I am SO bad at post run stretching it’s not even funny. Going to start including it in my routine ASAP as my mileage has really increased this past month! Great tips! I have a good series of post run yoga stretches that help my legs and hips! LOVE post-run yoga–feels so good!! Glad you found them helpful, Chaitali! I’ve definitely neglected my upper body strength before, and for a little while had this weird shoulder issue while running. Having strong muscles to help maintain good posture is so important for runners! Curious, what are your thoughts about that presentation we took that said you should stay at the same level of mileage for 4 weeks before bumping up. Would you recommend that over increasing by 10% or less each week? I personally think it really depends on the individual. If they’re not too injury prone, they may tolerate making bigger jumps. For someone who’s injury-prone, I’d play it safe and increase slowly. It’s convenient to make general rules, but in practice, everyone is different. Everyone recovers from workouts at different rates, and we have to honor our bodies when we train. Learning to distinguish between pain and discomfort is HUGE. We should all push to the point of discomfort–that is where change and adaptation occurs, but PAIN is different! Yeah, and it’s hard to tell the difference if you haven’t spent the time listening to your body. It’s one of the big lessons we learn when we start training! A big yes to strength training and barre! Looking into orthotics is also something that can help with issues – when I had shin splints, I got orthotics and I haven’t had an issue with them since, but that’s best discussed with a medical professional and not always a coach. Yes, definitely. Having the right amount of correction for how much your foot pronates is huge. A good pair of orthotics can help so much if you need them! Great tips! I definitely need to incorporate foam rolling into my routine more regularly. Thanks, Nicole! Glad you liked them. Foam rolling and other self-massage is so helpful, especially when you have tight spots on one side of the body more than the other–better to fix it before it throws your running form out of whack and causes an injury! Great tips, Beth – you broke it all down in such a clear and organized way! While I’m not a running coach (yet – getting certified in October), I swear up and down by Pilates since it improves posture, strengthens the core, and increases awareness of your body. That and sloowwww easy runs during training. Sharing this post everywhere – a must read for runners! Pilates is wonderful for strengthening and lengthening! I know our classes at Pure Barre incorporate a lot of movements from Pilates, and they’re so effective for gaining strength, especially core strength. Thanks for the feedback and shares! Great tips. I am so happy I have started strength training at OTF. thanks for the tips. I’m recovering from tendonitis in my foot at the mo – and it’s taking a while. I’m relatively new in running but I love it, and it hurts me to be sitting out! I ran for weeks at just 5-12km per run but then jumped up to a half-marathon and it seems that was just too much too soon! I wish I’d read this post first! Do you have any tips for easing back into training after a couple of months out? I’ll start with shorter, slower runs of course. Thanks! Hi Dave! It sounds like you have the right idea–start out slowly and for shorter periods of time, then gradually build up. If you’ve been working with a physical therapist, they should be able to give you a good idea of how to start getting back into it, probably with run-walk intervals. When you’re getting back into things, work first on building a base with long, slow miles before adding in any speed work. Extra speed will put extra stress on your body. 🙂 Good luck! 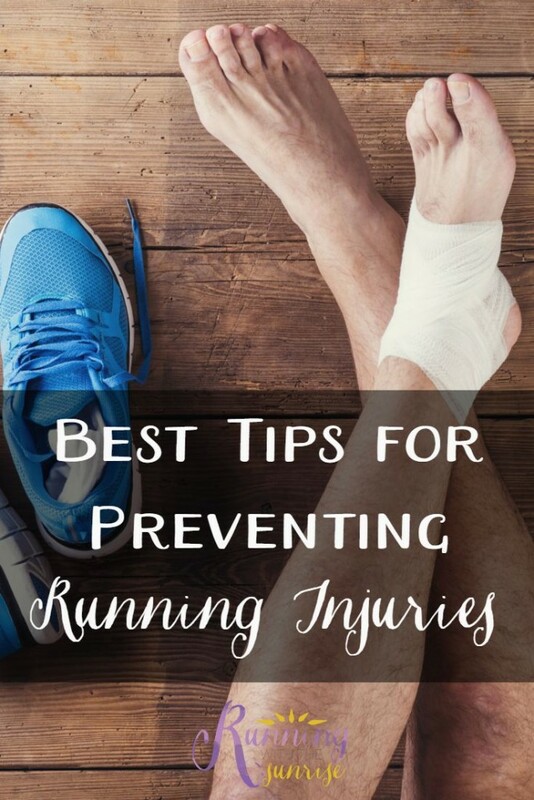 Thanks for these tips – I think injury prevention is something that isn’t stressed enough when you begin running, I never thought about it until after multiple injuries! Increasing slowly was intuitive for me, but I didn’t discover foam rolling until recently and only have just been learning PROPER foam rolling VERY recently. You are so welcome, Alyssa! I think most of us get injured and then get smart. 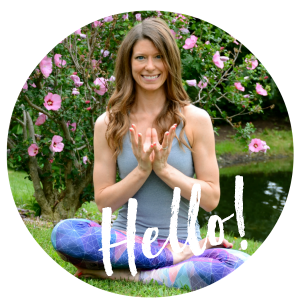 That’s one thing I’d love to do with my blog–help some newbies stay away from injuries! But pushing past the point of exhaustion and racking up the miles too soon only leads to injury. To ensure a strong, pain-free finish, use the tips below to reduce your risk of running error on the track, road, or trail.